The Social Media Wall can help you see, in real time, the reactions and gain insight into crowd’s reaction using either Twitter, Youtube, Facebook or Pinterest. Trending terms can be visualised as well. You prepare by letting everyone know the #hashtag you would like them to use on your marketing material. Your guests are visually encouraged to send tweets/pictures or even videos during your event. The messages will appear on your Social Media Wall, as they are sent, encouraging audience participation and promoting your event/product/brand as it happens. View a case study for the NBA Twitterwall here. 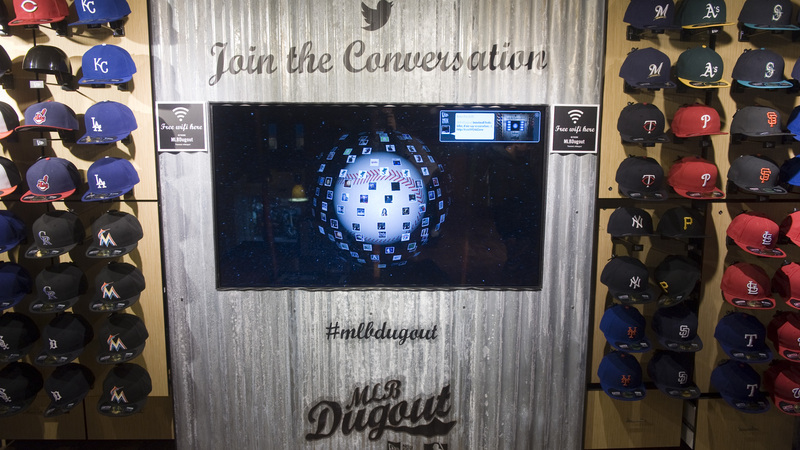 View a video of the touch interactive tweet walll in action at New Era’s Soho store (0:47-0:58).